Caption slip reads: "Photographer: Paegel. Date: 1954-09-30. Reporter: Massars. Assignment: First Families luncheon at Statler. 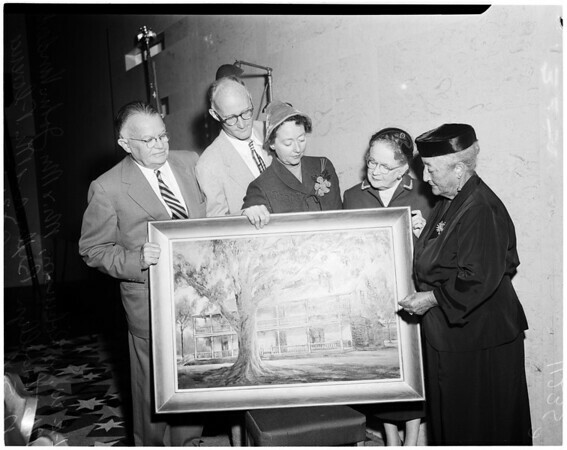 35/36: W.W. Robinson, Mr. and Mrs. John Vanderlip, Mrs. Lewellyn Bixby and Mrs. Florence D. Schoneman around picture of original Palos Verdes rancho house".